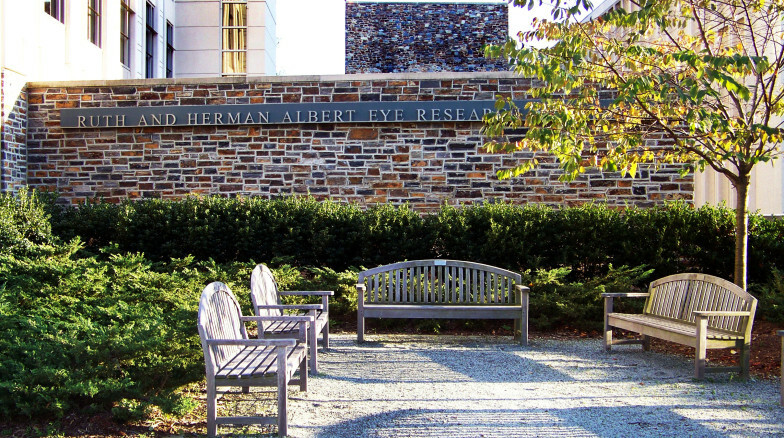 The $24 million Eye Institute opened in 2004 at Duke’s medical campus and created 72,000 square feet of new space that now houses state-of-the-art laboratories and facilities for ophthalmology research. 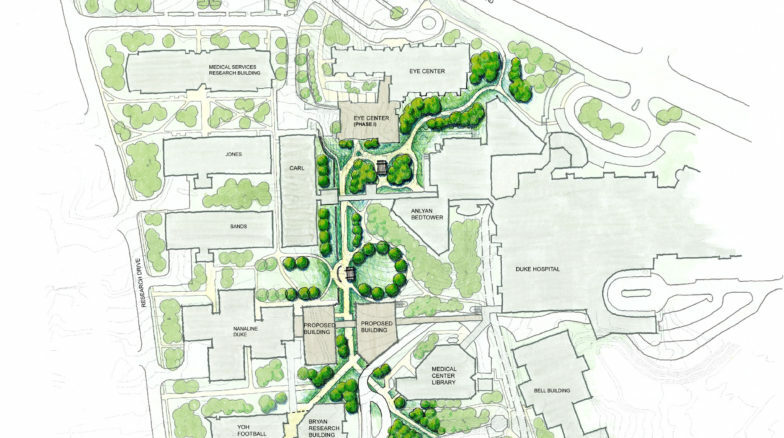 The site design visually minimizes service and utility components while making appropriate campus pedestrian connections and creating new landscape space. 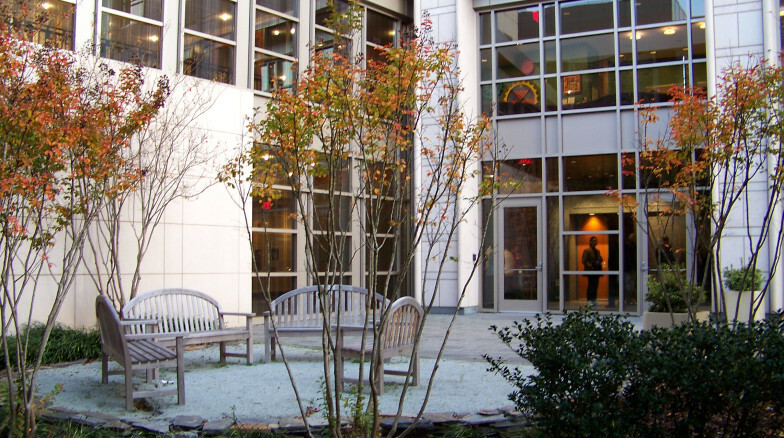 Landscape and hardscape materials soften the facade of the adjacent existing 1950′s Eye Clinic and extend architectural themes of the new facility into the entrance plaza.